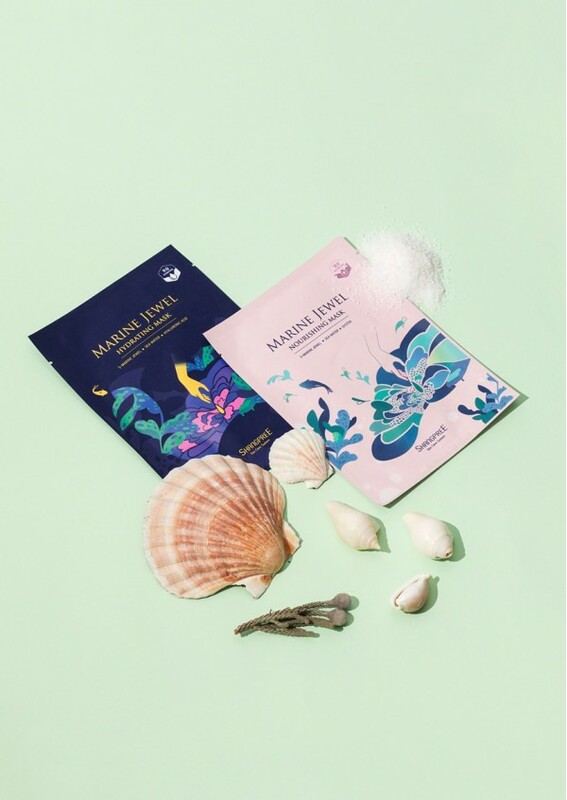 This ultra-nourishing mask boasts the benefits of the marine biosphere. This mask is truly a gem. We tried it out in South Korea, in the famous Shangpree spa in Seoul. We couldn't resist bringing it back to Europe so you could experience all the benefits of the marine biosphere in all their glory! It's designed for extremely dry or damaged skin types which have been exposed to extreme cold, stress, dryness or irritation. After just 20 minutes, your face will be glowing with the energy of the ocean's pearls and algae from the sea floor. And there's more! It contains real seawater. Place the mask on your face, ideally after applying toner. Wait 20 minutes and remove. Tap the remaining serum into your face with your fingertips. Do not rinse.